Manwe, unable to understand evil and with the advice of Nienna, releases Melkor to live in Valinor. Sauron informs Morgoth of the Noldor’s arrival. Morgoth makes quick plans to strike first. 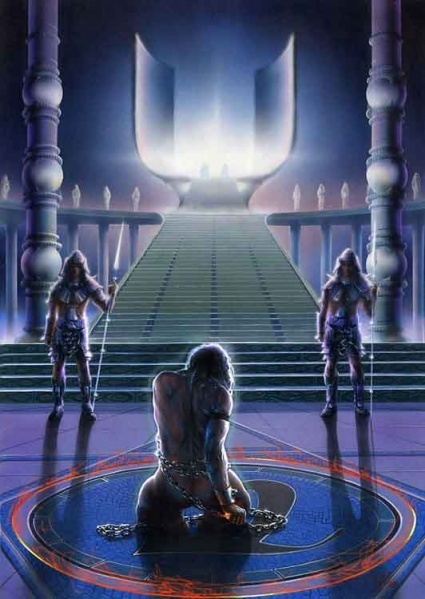 Feanor makes plans with his sons to besiege Angband. Maedhros wants to wait for Fingolfin but Feanor refuses. The encampment is ambushed by Morgoth’s forces, led by Gothmog. Feanor fights back and disperses the orcs. He leads his forces north. They are attacked by orcs retreating from the south, but Feanor’s sons lead an assault and overwhelm them. 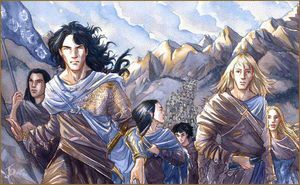 Feanor and his sons destroy most of the orcs, but a small group escapes. Feanor pursues them in his wrath. Many more of Fingolfin’s host have died. Fingolfin leads them on, leaving the ice desert as the moon rises. Feanor leads the army to within sight of Angband. 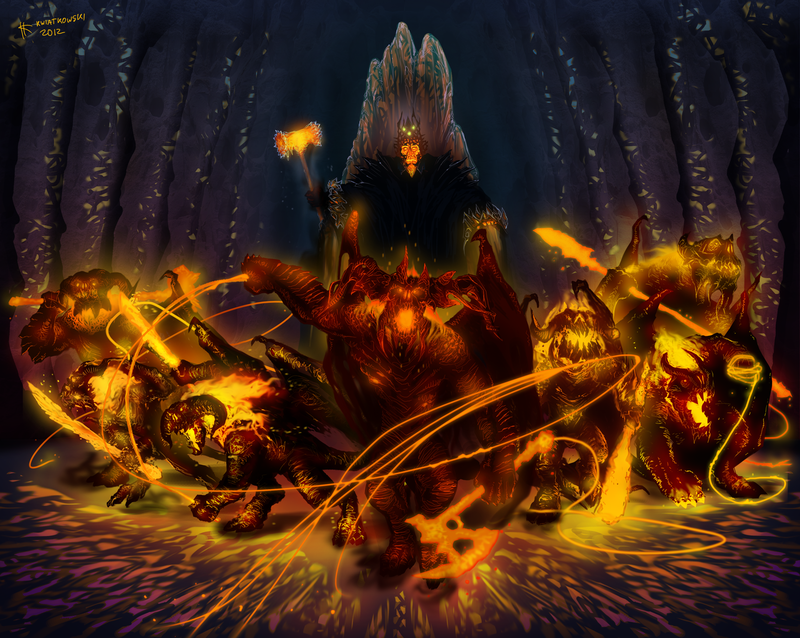 But as he reached Dor Daedeloth, a host of balrogs issued forth from Thangorodrim. Adapted from ‘Of Feanor and the Unchaining of Melkor’, ‘Of the Sindar’ and ‘Of the Return of the Noldor’ from The Silmarillion.